Conveniently and easily manage your Google Drive account. 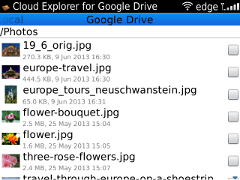 Download and upload files and folders from and to your Google Drive account as easy as copy & paste, fast and reliable. Downloads and uploads multiple files and nested folders in one batch. 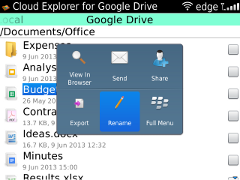 Copy, move, rename files and folders. 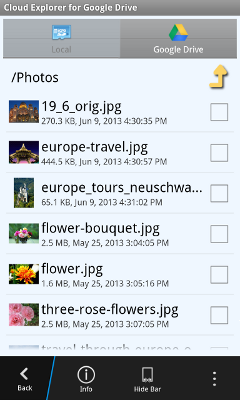 View photos and videos thumbnails, so you know which files you want. 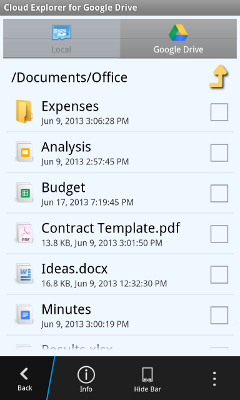 Access the folders and files shared by your friends. Tap a file to open in its file viewer, if installed. You can open the Google Docs in the browser, very handy when you need to view sheets or presentaions. 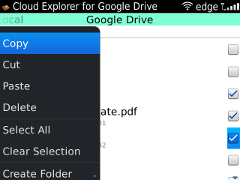 Send a link to a Google Drive file or folder via email. 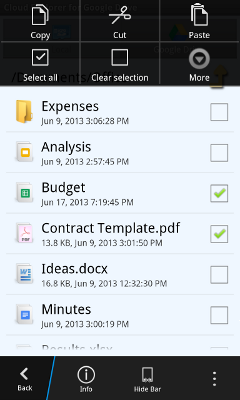 Share your files and folder and control who can access. 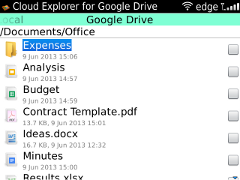 Export Google docs to pdf, excel, word formats.